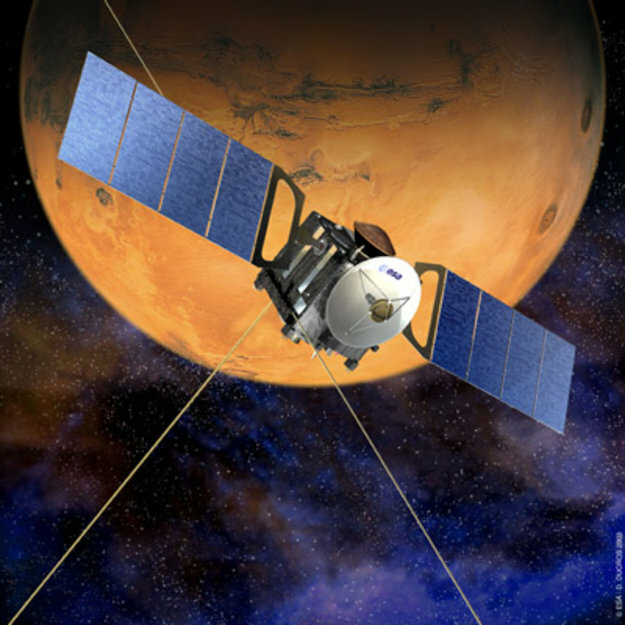 During its mission to investigate martian mysteries, the orbiter has revolutionised our knowledge of Mars, probing every facet of the Red Planet in unprecedented detail. Some of the most visually astonishing results have been returned by the High-Resolution Stereo Camera (HRSC), which has produced breathtaking, 3D colour images of the diverse martian surface - with giant volcanoes to sinuous valleys and ice-modified craters. One of the most surprising discoveries has been the youthful appearance of the country-sized volcanoes of the Tharsis ridge, suggesting they may have been active only a few million years ago. The images also show that glacial landforms are widespread over much of the planet, with glacial activity continuing in some areas until perhaps 20 000 - 30 000 years ago. Among the peculiar landforms imaged by HRSC is what appears to be a recently frozen body of water in Elysium, close to the equator.